‘Soundings’ gets down to the nitty gritty of opposition; ‘Czas Kultury’ says LGBT+ in Poland has lost its way; ‘Dublin Review of Books’ reflects on Trumpian neediness and British moralism; ‘dérive’ examines informality in Vienna, Belgrade and Paris; ‘Atlas’ considers religious atheists, social outcasts and a cause without rebels; and ‘New Literary Observer’ closes in on Franco Moretti’s distant reading. Margaret Thatcher used oil revenue to ‘purchase public support’, argues Ramsay. Now, however, the North Sea Oil era is coming to an end – something that no amount of government subsidy can prevent. Terrified of the Scottish question, the Labour Party has acquiesced. It’s time for the Left to discuss ‘ways to deliver a just transition away from the oil to other good jobs while leaving much of it in the ground’. 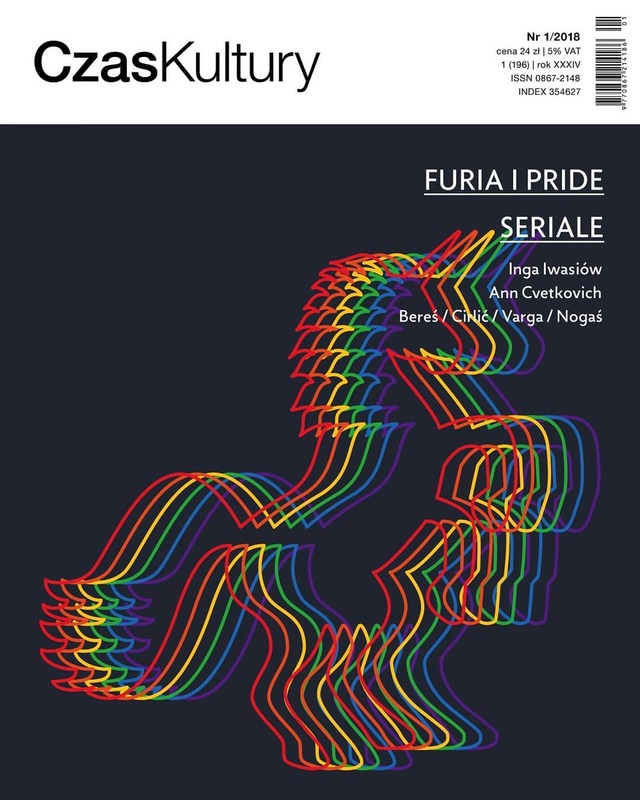 As the centenary of women’s suffrage in Poland approaches, Czas Kultury asks when the LGBT+ community there will achieve basic legal rights and social equality ‘without deceptions and half-measures’. 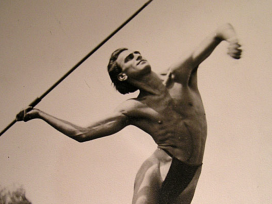 Sidelining LGBT: ‘If we agree that social diversity is more interesting than homogeneity and uniformity, we cannot go on sidelining the LGBT movement and treating it like an unruly pupil,’ writes Piotr Moszczenski. Focusing on Poznan (now reputed to be one of the more gay-friendly cities in Poland), Moszczenski argues that the first demonstrations organized there in the mid-2000s were neither bold nor uncompromising enough. More general discrimination issues – as well as issues of disability, economic inequality, and problems experienced by ethnic minorities – overshadowed the LGBT agenda, which was pushed out of the spotlight for years. Solidarity vs. identity: The early LGBTQ movement in Poznan was largely formed and run by lesbian and bisexual women whose communalist approach to challenging discrimination flew in the face of neoliberal identity politics, writes Renata Kin. Their priority was to create an alternative cultural, political and social space, ‘a community built on a shared aim, a common vision of a better social reality’. Annual ‘Equality and Tolerance Days’ and demonstrations, dating back to 2004, reflected this broad agenda and drew in a range non-LGBT+ groups. Marches were disrupted by the extreme right, police and the municipal authorities, and the confrontations shaped media discourse on discrimination issues for a decade afterwards. Yet the women behind all this vanished from view as hierarchical and discriminatory mechanisms within the LGBT movement itself came into play. Also: Alicja Kisielewska examines the cultural ideology promoted by television serials in Poland, and ways in which they consolidate existing beliefs and assumptions, especially about the traditional shape of the family. Urbanist journal dérive looks at the history of ‘informal’ or illegal architecture and land-use. In Vienna, informality increased dramatically after the two world wars. The revolutionary insurgency of the ‘settlers’ after 1918 was soaked up by the Social Democrats, who provided them with credit, write issue editors Friedrich Hauer and Andre Krammer. After WWII, the tendency was the opposite: within ten years, ‘conservative-agrarian Romantic notions had become hegemonic’ among ‘small garden’ allotment holders. Permanent residence on allotments was largely legalized in the early 1990s and many plots sold to tenants – thereby ruling out public land-use in the foreseeable future. What in 1918 had been an emancipatory and anti-bourgeois movement was co-opted by the conservative and reactionary ideal of ‘a home of one’s own’, write Hauer and Krammer. Yugoslavia: Allocation of public housing in Yugoslavia took place via worker-led factories and enterprises, a system that overlooked unemployment, writes Dubravka Sekulić. Extra-legal housing emerged as an option for those excluded from the system. This gave rise to ‘wild suburbs’ that in turn ‘served as the training ground for the negotiation of the grey, extra-legal space after the collapse of socialism’. 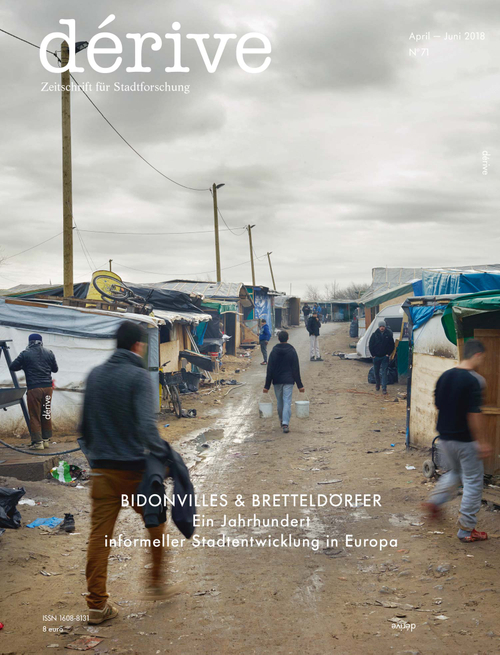 Bidonvilles: Around 16,000 people are thought to live in informal settlements in France today. The situation is reminiscent of the 1950s and ’60s – only now, residents are even worse off, write Muriel Cohen and Marie-Claude Blanc-Chaléard. 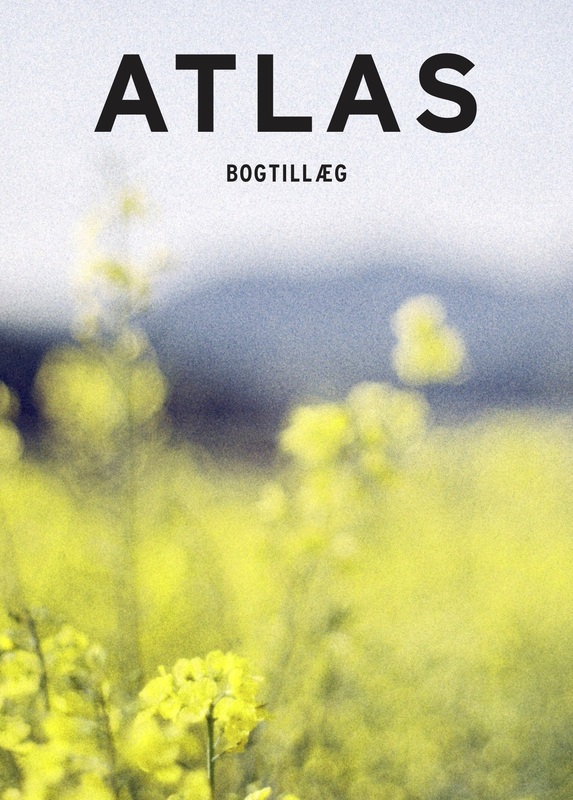 Instead of focusing on opinion, asks new Eurozine partner Atlas, shouldn’t journalism be trying to understand the world? The idea of ‘searching for the truth’ might have a solemn ring, but what if we rephrase it as a curiosity? It is in this spirit that contributors investigate what community and togetherness entail today. A cause without rebels: Alexander Rich Henningsen wonders what happened to youth rebellion. 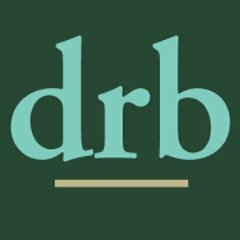 ‘I live a life that’s about not letting anyone down, about not doing anything wrong, and most of my friends seem to live by these guidelines too.’ Today’s youth is not lacking in critical consciousness about the neoliberal competition yet fails to rebel against society’s ideal of self-improvement. Why? 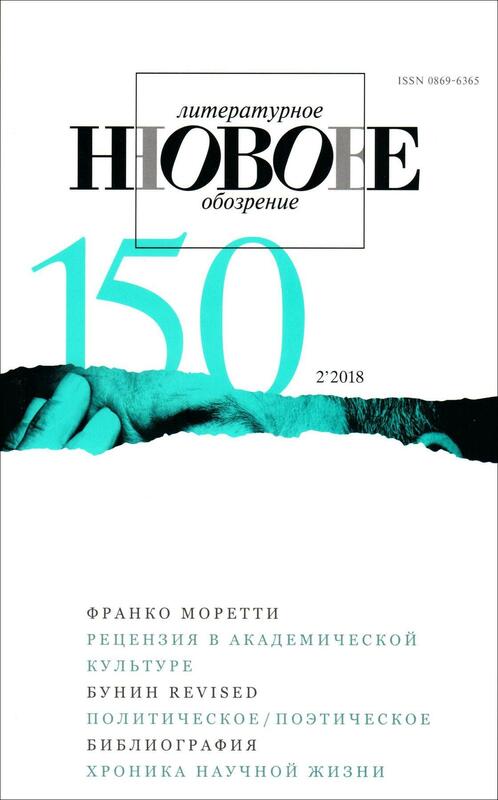 The Russian literary journal NLO devotes an issue to Franco Moretti, leading figure in literary geography and digital humanities, pioneer of quantitative methods in the humanities, and author of the concept of ‘distant reading’. Moretti’s combination of Russian formalism, literary Darwinism, world-systems analysis and ‘computational criticism’ is not without controversy, as the articles in the issue show. Moretti and Russian formalism: Alongside Italian Marxism and British Neo-Darwinism, Moretti’s methodology is rooted in Russian formalism, writes Igor Pilshchikov. 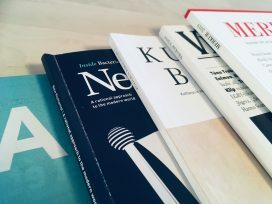 ‘Yet, an “autochthonous” reading of Russian formalism differs from that of the “West” primarily by relying on a wider range of texts: most of them simply haven’t been translated.’ Kirill Korchagin, meanwhile, suggest that the popularity of Moretti’s ideas and methods can draw attention to Russian quantitative literary science, ‘which came close to the problematics’ developed by Moretti. Bunin revisited: Evgeny Ponomarev re-reads Ivan Bunin’s short-story collection Dark Avenues, arguing that its powerful and multifaceted intertext, which reinterprets practically the entire Russian classical tradition, allows the work to be seen as the beginning of Bunin’s turn from modernism to post-modernism. 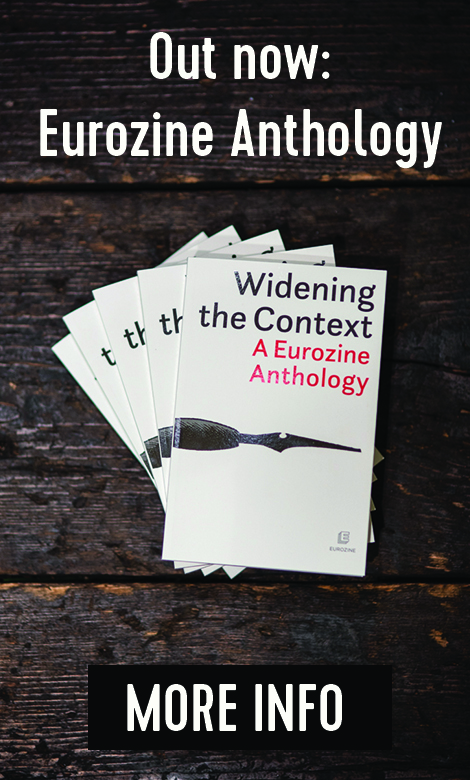 The Eurozine Review presents a selection of the latest issues of Eurozine partner journals, summarizing their contents in English as a way of encouraging cultural and political dialogue between national public spheres in Europe. Subscribe here.